On Monday, the United Nations pulled back hundreds of putative peacekeepers from the buffer zone that runs across the Golan Heights, separating Israel from Syria. They withdrew into the Israeli Golan, driven by Al-Nusra, Syrian rebels linked to Al-Qaeda, who have set up a “safe zone” from which to wage attacks. The UN forces are from UNDOF – the UN Disengagement Observer Force – charged with monitoring that buffer zone. Its 1,200-strong force is comprised of troops from Fiji, India, Ireland, Nepal, the Netherlands, and the Philippines. Jaafari accused Israel, Qatar and Jordan of being behind a “very big plot” to destabilize Syria by letting the Syrian rebels take control of the buffer zone. Israel cooperating with Hamas-funding Qatar in a “very big plot”?? Well, the story would not be complete if Israel were not blamed somehow. “Reconstruction, recovery, governance and security in the Gaza Strip must take place in the context of the return of one legitimate Palestinian Authority to the Strip. If I were able to make genuine sense of this diplomatic double-talk, I would gladly explain it. Apparently the UN is endorsing the Palestinian Unity government – which is on the verge of falling apart and which Hamas does not truly acknowledge in Gaza in any event – as the legitimate authority in Gaza. That is, if the Unity Government works within the framework of the Quartet positions, which Hamas refuses to accept. The Ad Hoc Liaison Committee, the body coordinating development assistance to the Palestinians, will come together in New York in a meeting hosted by UN Secretary-General Ban Ki-Moon. The UN? I’m sure they will function according to their well-recognized standards. Apparently Israel has agreed to this. Was there a choice? Did Israel seek alternatives? ARE there alternatives? The decision was made by the Netanyahu government not to re-take Gaza. Are we stuck with this, which will lead to no good? That is, if it happens. Excuse me? Please note, there is not a word about demilitarization of Hamas. He talks about lifting all remaining closures without addressing the dangers to Israel. Monitoring the reconstruction project to make sure reconstruction materials (primarily concrete) will not be diverted to military purposes (construction of tunnels) in no way addresses the wholesale smuggling of rockets into Gaza (in pieces that can be easily hidden in merchandise) that would ensue, were all closures to be fully opened. Where is the Israeli prime minister in all of this? The fact that Serry – no friend to Israel – imagines that the crossings should soon be opened fully in no way indicates that Netanyahu has signed off on this. He perhaps finds it wiser – more politic, in his style – to let Serry et al make pronouncements to which Israel has not agreed without bothering to contradict. There surely must be intention, as well, to do monitoring on Israel’s side – although Serry, of course, mentions no role for Israel. Mohammed Mustafa, Deputy Prime Minister of the Palestinian government, said last week that international donors are hesitant to fund Gaza’s reconstruction while Hamas is still in control and the possibility of future fighting remains very real. Mustafa said international bodies are eager for President Mahmoud Abbas’ Fatah forces to take on a leading role in Gaza. Hamas already took out Fatah forces in Gaza once. Are we due for a re-run? After the Lebanon war in 2006, during which Israel seriously degraded Hezbollah capabilities, the Security Council passed Resolution 1701. It set in place UNIFIL – UN forces that were intended to work with the Lebanese army to prevent Hezbollah from re-arming (smuggling rockets in from Syria). Today Hezbollah has some 100,000 rockets. At one point, some years ago, I learned that UNIFIL did no operations – no monitoring or patrolling – at night. The smuggling, needless to say, was done at night. Did I not say this was surreal? 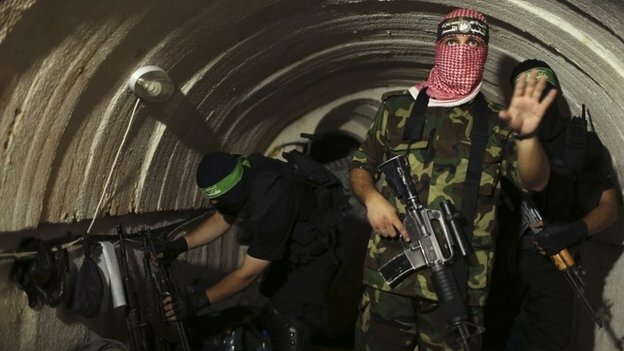 We have not yet heard from Hamas – remember that there is still no final ceasefire agreement. I note here as well that there is no mention of a role for the EU, which was supposed to be solidly on board with insuring that Hamas did not re-arm, etc. etc.